Yes, I realize this is now exactly one month late. 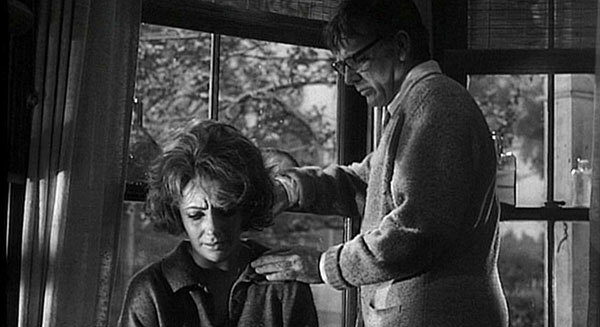 I blame two things – the TCM Film Fest and how gorram difficult it was to pound out that Blind Spot review of Who’s Afraid of Virginia Woolf?, which I wanted to finish before posting this recap which includes it. But now it’s done and I’m already working on April’s, so hopefully I should have that ready soon. Though it is extremely large, given the aforementioned TCM Film Fest. By the way, I haven’t posted anything on that here outside of the initial preview – I meant to, but time has been short – but there are a few reviews and more on the way over on Row Three. So after I struggled quite a lot figuring out how I wanted to rate and review this film (see my Blind Spot entry for it), it ended up coming in the respectable high 600s on my Flickchart, which is basically square in my “really liked it” section. I’m not sure I actually “really liked” it, but it’s probably a fairly good spot for it, considering how many sides of me were warring over the film. For the record, when I FIRST ranked it immediately after watching it, it was in the 1100s somewhere. So it has definitely gone up in my estimation with a few weeks to mull it over. Anyway. I wrote a lot about it in the other post, so I won’t bother writing more here. Seen March 21 on DVD. 1998 USA. Director: Terry Gilliam. 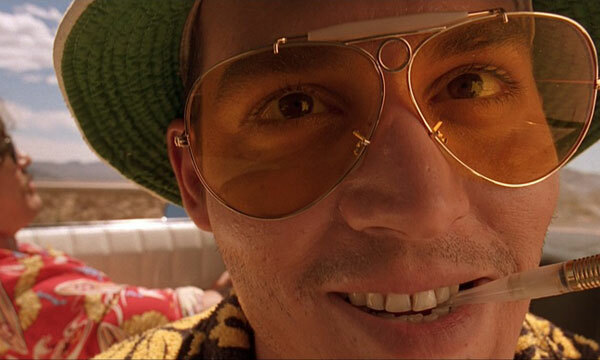 Starring: Johnny Depp, Benicio Del Toro, Tobey Maguire, Ellen Barkin, Gary Busey, Christina Ricci. Seen March 30 on Criterion Blu-ray. I first heard of this film after a few glowing reviews from friends who saw it at TIFF, who praised it for its non-stop, well-choreographed, high-octane fighting, even though the story of a SWAT team invading a drug lord’s apartment building is a little sparse. For a little while I was afraid I’d misheard and it was gonna be all guns, which would’ve been boring and just needlessly violent (in a boring way). But then the hand-to-hand stuff started, and all of that was awesome. So yeah. Just enough story to string a nearly 100-minute long fight scene on, and that was enough. Also, it was surprisingly well-paced for basically being a long fight scene, with some breather sections in there at just the right times. Definitely had fun with this. 2010 Indonesia. Director: Gareth Evans. Starring: Iko Uwais, Ananda George, Ray Sahetapy, Yayan Ruhian. Seen March 24 at Arclight Hollywood. The immense amount of hype and some decently cut trailers got me into the theatre for this even though I haven’t read the book, and I wasn’t disappointed in the least. Not that the film is a perfect one – the direction is lackluster and the camerawork and editing falls into all the traps of chaos cinema, using closeup shakicam and frenetic editing for no purpose whatsoever. That did kind of settle down a bit as the film went on, though most fight scenes were still indecipherable. 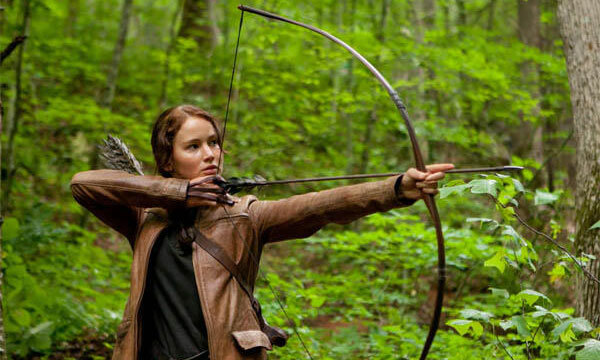 And yet, I truly enjoyed the film anyway, because Katniss Everdeen is simply a great character, and Jennifer Lawrence does a great job of portraying her. She’s everything a hero should be – brave but not arrogant, intelligent but not infallible, trying to do the right thing, but often conflicted. I’m definitely looking forward to seeing more of her onscreen, so I’m hoping that Gary Ross’s replacement will not have quite as much affection for annoying camera and editing techniques. 2012 USA. Director: Gary Ross. Starring: Jennifer Lawrence, Josh Hutcherson, Liam Hemsworth, Wes Bentley, Stanley Tucci, Elizabeth Banks. Seen March 31 at AMC Burbank. 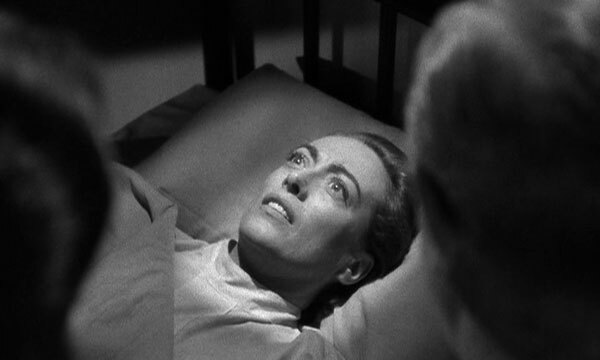 This film has a pretty killer opening, with a sans-make-up Joan Crawford stumbling down a Los Angeles street in a daze, calling out the name “David” over and over again. She soon collapses and is taken to a hospital, where she eventually becomes well enough to tell what happened to her. 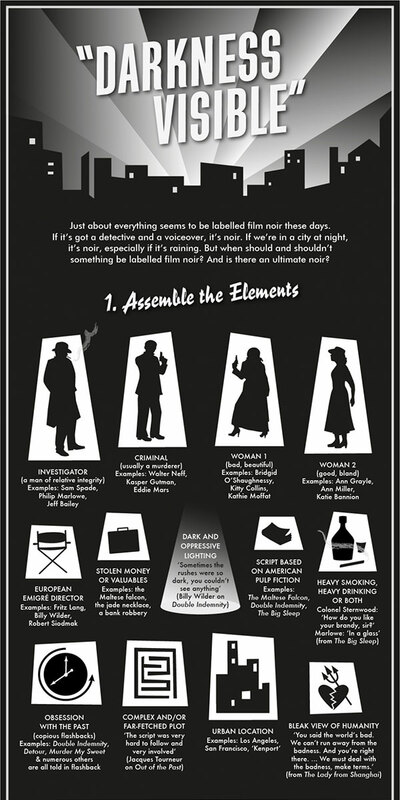 The film settles into a more conventional noir melodrama, but as with any of these films, the interesting bits are in the details. The David she was searching for is Van Heflin, a man who she’d been obsessed with earlier, but who hadn’t returned her love. He’s basically an homme fatale, taking the place of the femme fatale so much more common in noir – he pops in every once in a while to turn the emotional knife in Crawford’s gut, with never a care in the world beyond himself. Eventually she snaps, falling into a schizophrenia that has her believing all sorts of things happened that didn’t, and the film is told closely enough from her point of view that it’s often hard for us to tell what’s real and what isn’t. The film may try to do too much, between the unrequited love, eventual loveless marriage, love triangle, stepmother-stepdaughter conflict, nurse-patient trauma, schizophrenia, murder/suicide/accident plot, and whatever else. But Crawford holds it together, and the noirish cinematography makes it often very interesting to look at. There’s a tracking shot near the beginning as she’s being wheeled into the hospital – her POV, so all ceilings going by until the exam room and two doctors pop their heads into the frame to exam her/the camera. Very nice, and alerts us immediately we’re in her shoes for the duration. That’s not an isolated good shot, either – the film is full of them. Not necessarily flashy or attention-grabbing, but effective and effortless. 1947 USA. Director: Curtis Bernhardt. Starring: Joan Crawford, Van Heflin, Raymond Massey, Geraldine Brooks. Seen March 22 on DVD. Capitalizing on his memorable single scene in 1927’s Wings, Gary Cooper played a WWI pilot again in this film, which is not nearly as great a film, but still quite watchable and with some very endearing parts. 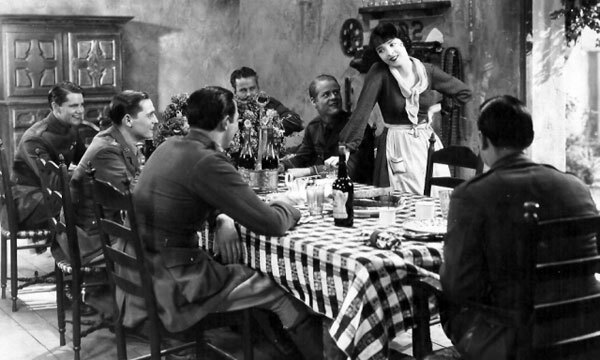 Colleen Moore is cute as a button as the French girl who tends to a contingent of British pilots stationed in France. They’re “her boys” as she feeds them, entertains them, carefully counts their returning planes and mourns for any losses, but when Cooper joins them, her affections run a little deeper for him. The film is really solid until the melodrama of their probably doomed romance takes over everything else, kind of ruining the great group dynamic the film had worked so carefully to balance for the first three quarters. Even so, it was an enjoyable watch, Moore was enchanting (especially in the lighter earlier sections), and it’s fun to see Cooper so young. 1928 USA. Director: George Fitzmaurice. Starring: Colleen Moore, Gary Cooper, Burr McIntosh, George Cooper, Cleve Moore. Seen March 7 at Cinefamily. I ended up writing a whole long post about this film after seeing it at Cinefamily a few weeks ago, so I won’t belabor the point here. 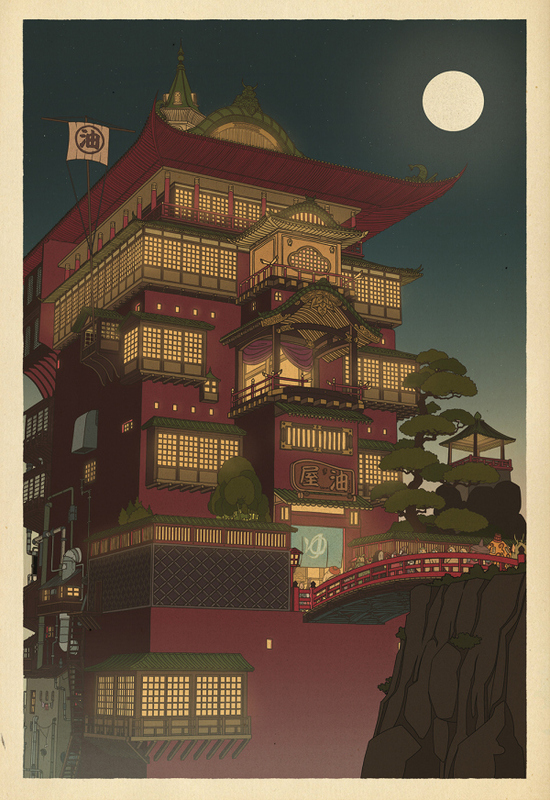 It’s in my all-time Top Twenty on Flickchart, so it’s pretty clear how much I adore this film. 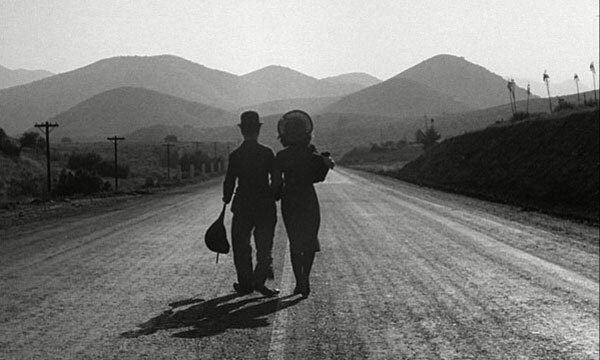 Even though I would probably now tend to favor Keaton et al over Chaplin et al, there’s not much that can come close to my love for Modern Times. 1936 USA. Director: Charles Chaplin. Starring: Charles Chaplin, Paulette Goddard. Seen March 14 at Cinefamily. It had been quite a while since I last saw The Circus, which is sandwiched up between The Gold Rush and City Lights in Chaplin’s filmography and rarely gets as much attention as either of those films. And granted, it may not be quite as amazing as they are, but it is still a pretty freaking awesome movie. Chaplin’s Tramp runs into a circus as he’s being chased by the police (this is after a tremendously funny and exciting chase through an amusement part, with way more sight gags and baits-and-switches than I remembered) and ends up inadvertently becoming the hit of the show. But not all goes as well for him on the personal front, as he falls in love with the ringmaster’s daughter, who only has eyes for the tightrope walker. 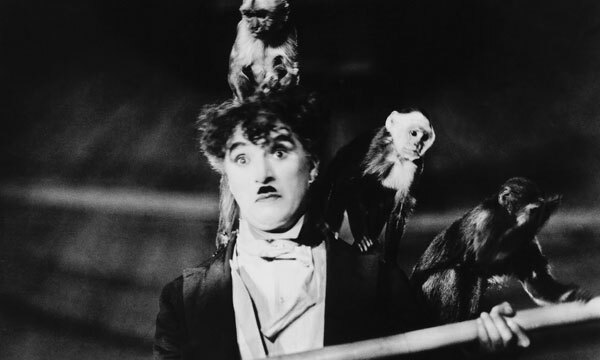 The story invokes all of Chaplin’s trademark pathos, and has a lot of magnificent set-pieces as well – the most well-known are when Chaplin tries the tightrope walking himself, and when he accidentally locks himself into a cage with a lion. This film is definitely a worthy entry in Chaplin’s filmography, and gag for gag, probably as funny as any of them. 1928 USA. Director: Charles Chaplin. Starring: Charles Chaplin, Merna Kennedy, Allan Garcia, Harry Crocker, Henry Bergman, George Davis. Seen March 28 at Cinefamily. I still think the third act falls apart, though I will say I didn’t mind it as much on a second viewing, when I knew what to expect and wasn’t totally thrown off-guard by the tonal shift. I still much prefer the more meditative part before they find the Icarus I, but I can understand better now where that last bit was trying to go. I just don’t think it totally worked. That said, I did have a fun time this go-around finding comparisons to Apocalypse Now (I hadn’t seen it yet last time I watched Sunshine). Even with the third act let-down, it’s still a pretty top-notch sci-fi movie, and I like the film overall enough to still rank it pretty highly. 2007 UK. 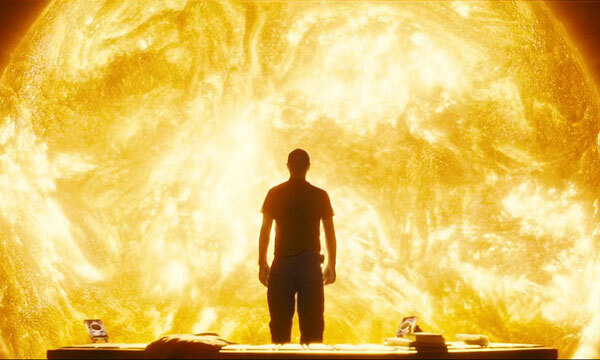 Director: Danny Boyle. Starring: Cillian Murphy, Rose Byrne, Chris Evans, Michelle Yeoh, Hiroyuki Sanada, Troy Garity, Cliff Curtis, Mark Strong. Seen March 24 on DVD. When this popped up on Instant, I was seized with a sudden desire to rewatch it, since I hadn’t in a very very long time, so I made Jon watch it, too (he hadn’t seen it before at all). It’s easily the best of the Pink Panther films, with Clouseau taking center stage and getting himself into some pretty ridiculous situations. I will say, though, that the comedy was a lot slower and less hysterical than I’d remembered – it really takes its time setting up gags and letting them play out perhaps a bit longer than necessary. I won’t say I was disappointed – I still think it works quite well as both a comedy and a mystery, but memory had amped up the hilarity more than is actually the case. 1964 UK. Director: Blake Edwards. Starring: Peter Sellers, Elke Sommer, George Sanders, Herbert Lom, Tracy Reed. A Shot in the DarkBlake EdwardsCharlie ChaplinColleen MooreDanny BoyleElizabeth TaylorGareth EvansGary CooperJoan CrawfordLilac TimeMike NicholsModern TimesPeter SellersPossessedRichard BurtonSunshineThe RaidWho's Afraid of Virginia Woolf? Nice update. Everyone has been raving about The Raid lately, I hope it gets released here soon. Quite a good mix of films and genres that you caught this month. And welcome to The LAMB! I hope you are finding everything ok over there and that everyone is treating you well so far. I’m nothing if not eclectic! I’ve kind of dropped the ball on foreign releases so far this year – my viewing has been overwhelmingly American. Might have to step that up.